SABA — I don’t eat lobster very often. Sure, I like it. But when I go to a restaurant that seems good, I always feel that the way to see what the restaurant does best is to order something else. The lamb, the glazed mahi, the duck. Things that require creativity. With few exceptions, lobster always tastes good, but it also always tastes the same. That was, until I was sitting in a treehouse called the Bird’s Nest above the Queen’s Gardens resort in Saba. I had passed the “Saban lobsters” in the tank on the climb up to what is inarguably the best table in Saba, with a stunning view of the valley below, and been intrigued. I could not, after all, leave this tiny island without trying a Saban lobster. Maybe Saban lobsters are different, I thought. And then, after an appetizer of smoked duck breast with papaya cream, I tried it. And it was something entirely different. It was cooked perfectly – not in the trite way — it was actually perfect — that point when the meat is tender and light and elegant, almost like a scallop. And then covered in champagne butter. It was one of, if not the best lobster meals I had ever had, in the most unlikely place. More unlikely because in tiny Saba, supplies typically come once a week. It is not easy to get things to Saba. For a chef, that makes things even more difficult. You need to make wonders with what you have to work with. And here at the Queens Garden, under the leadership of Chef Kevin Hollans, they do. This is a hidden hotel, obscured from most of an island that is itself kept secret in the Caribbean. It is a great little hotel, where the staff is small but understands exactly how to run a hotel, how to make a guest feel that he should be relieved because he is there. 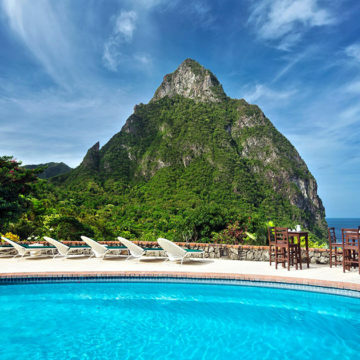 It is a great little hotel where every room has its own open-air jacuzzi facing a remarkable valley below, the kind of views people pay five times the price for in Saint Lucia. And it is home to this great little restaurant. (That’s without mentioning a tiny rum bar with an unexpectedly wide selection of rhums agricole from both Martinique and Guadeloupe). There are just twelve suites, but it feels larger. It is not the youngest hotel, more than two decades old, but it feels newer. 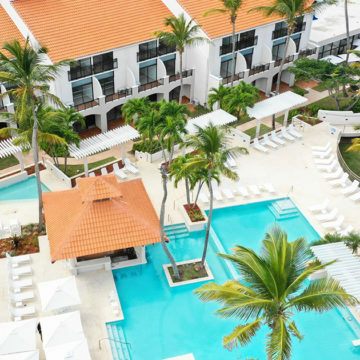 There are all kinds of small hotels in the Caribbean. But this is the kind that makes you feel special. You think you’ve tasted lobster; but then you try it in the hills of Saba, up in a treehouse and its something different.